Spectacular Ocean and bay views from Luxury Condo in Las Brisas, Acapulco!! 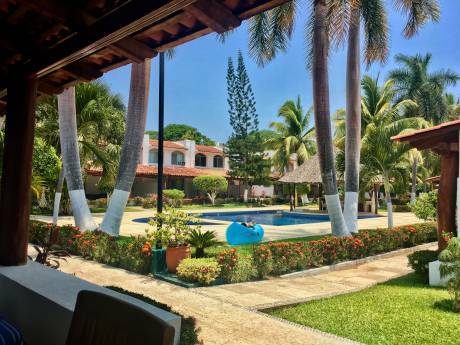 We own an amazing 11-condo property in the exclusive and world famous Las Brisas residential community with SPECTACULAR ocean views of the Acapulco Bay and Roqueta Island! Our condos are located in private and gated community in what is considered the "Beverly Hills" area of Acapulco with what many travel gurus consider one of the most beautiful bay views in the world. 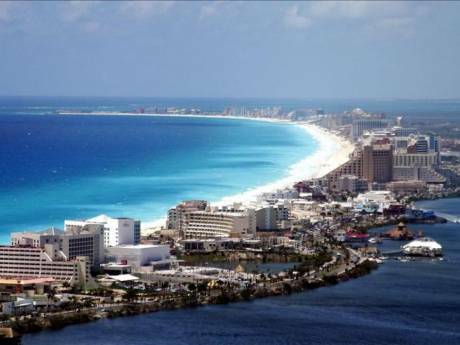 Acapulco has fabulous summer-weather year-round, and the ocean boasts warm currents which beat most Caribbean cold-currents. Our property is very private, yet only a five-minute drive to restaurants, nightlife, shopping and beaches. We will include the use of one mini-van in the exchange if the other party offers that as well. The condos range from studios (for 2 to four people) to two-bedroom units. are fully furnished and include A/C, large flat TV with SKY (premium channels), wireless internet, daily maid service, linens and towels, free laundry service (just pay for soap and softener), fully equipped kitchen. Most units also have terraces with table, sunbrella and chairs offering unbelievable views of the bay upon sunrise or sunset. The night views are mesmerizing with frequent firework shows year-round due to Acapulco's festive atmosphere. There is covered parking for one car and several parking spaces in secure area. There is a large, private, infinity pool with palapa-wet-bar and lounge chairs in tanning deck area. There are also 7 lighted tennis courts as part of the residential complex at Las Brisas. My name is Armando, and I am the director of a vacation rental agency in Acapulco. My wife Maggie is the reservations manager in the agency. We travel with our young daughter Sofía. This is a second home, so we can do exchanges anytime during the year and does not have to be at the same time you take your vacation. We are only a five-minute drive to restaurants, nightlife, shopping, Wal-Mart, Starbucks, McDonalds, and beaches. It is a very exclusive and safe residential area, perfect for strolls with stunning ocean and bay views. There are a variety of beaches that are appropriate for the single scene, families with children, for seniors and for people that just want peace and relaxation. For those who want some action, there are many sporting activities such as tennis, golf, beach volleyball, beach activities such as parasailing, quad runner motorcycles, horseback riding at sunset, jet-skiing/wave runners, water-skiing, banana ride, fishing boat or yacht rentals, white river rafting, snorkeling, SCUBA diving, surfing, wind surfing or sailing. 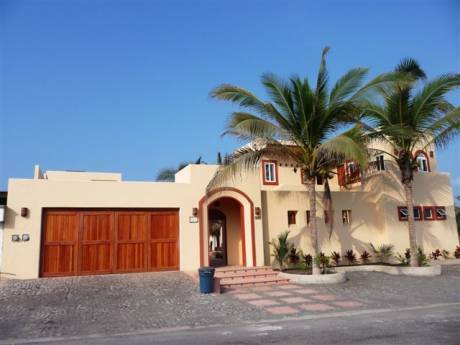 The property is only fifteen minutes from airport and five minutes from the nearest beach. Acapulco has been the playground of the jet-set for many years and is still the destination of choice of the rich and famous. There are also other sightseeing options nearby, such as the legendary silver-mining town of Taxco (same day round trip), the ancient ruins at La Palma, the Pie de la Cuesta Lagoon, the San Diego Fort and Museum, El Veladero National Park and Arboretum, Art museums and galeries, Barra Vieja beach and indigenous gourmet experience, Ixtapa/zihuatanejo (three-hour drive), and many other sightseeing places.